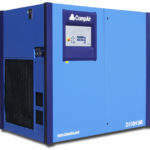 CompAir is a global supplier of compressed air and gas solutions based on 200 years of commercial strength and market experience of its heritage brands. These well-known and respected names include Holman, Broomwade, Reavell, Hydrovane, Kellogg, Luchard, Mahle, Mako and LeROI. 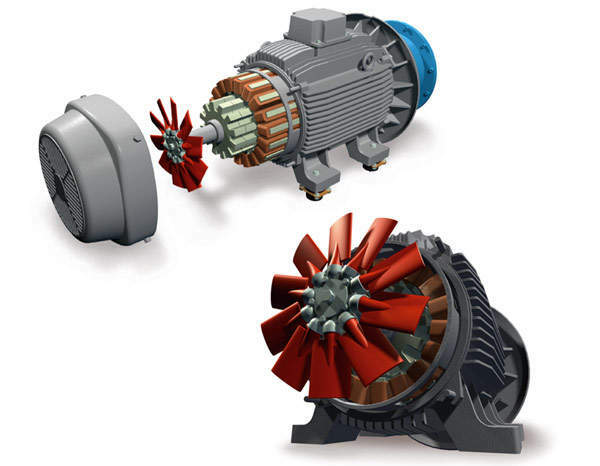 CompAir designs compressors using many different technologies including reciprocating, rotary screw, centrifugal, turbine and water-injected compressed air solutions. 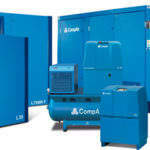 CompAir has been designing, manufacturing and supplying oil-free compressors for more than 80 years. 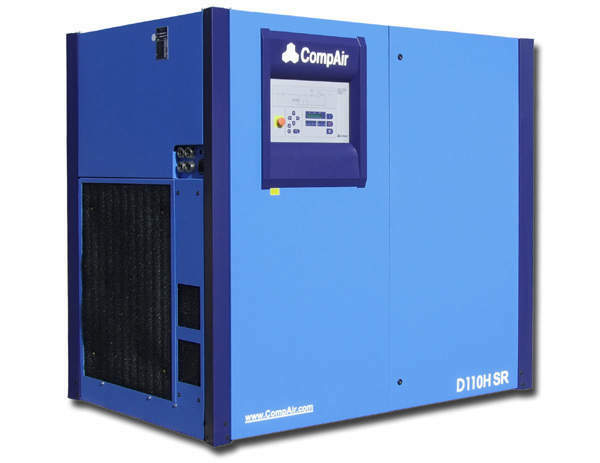 With a range of energy efficient oil free compressors, from 15kW to 300kW, CompAir has unrivalled experience in providing oil-free compressed air installations to the chemical industry. 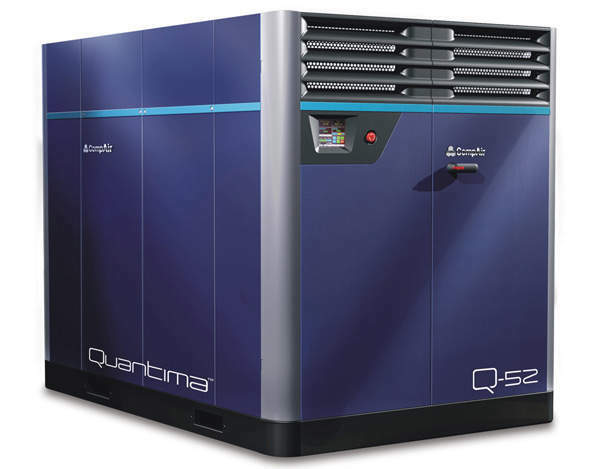 Quantima delivers unmatched efficiency, premium reliability and the lowest environmental impact. 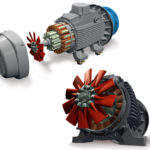 With the largest cost component of a compressor during its lifetime being electricity cost, CompAir incorporates innovative energy-saving technologies such as speed-regulated motors, delivering compressors that work harder and smarter. 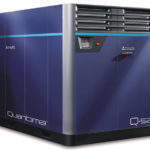 CompAir integrates unique technologies such as switch reluctant drive systems which allow supply to accurately match demand for maximum energy-efficiency. The DH range of oil-free compressors uses the most advanced mono screw compression technology to deliver the highest quality of compressed air. 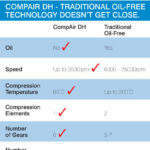 The use of absolutely no oil in the DH range of compressors negates the issue of contaminated air. Simply, no oil means no risk. Utilising an oil-free mono screw, the DH compressors are able to use purified water which is injected into the compression element to lubricate, seal, and cool the compression process. Significantly few moving parts, meaning less to go wrong. 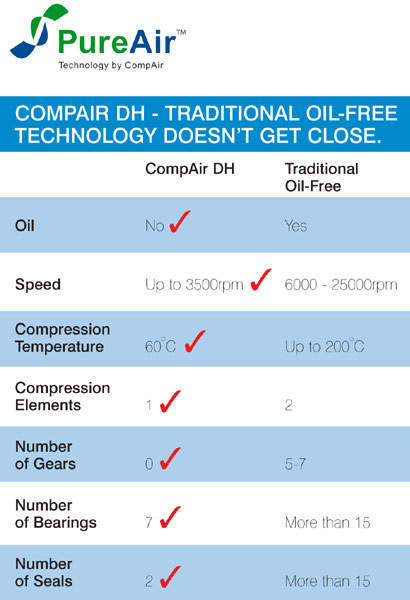 We are so confident in our products that every CompAir oil-free compressor is offered with our unique free of charge ASSURE™ warranty scheme, offering up to 44,000hr of warranty and therefore peace of mind. Shanghai CompAir Compressor Co. Ltd.